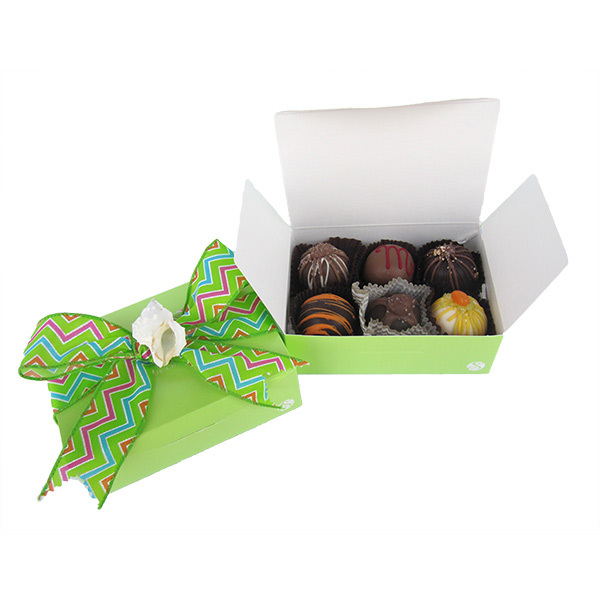 Decorated gift boxes of these large, milk and dark chocolate truffles, hand-made by the same premier chocolatier that supplies Nieman Marcus, contain either a half or full dozen. They truly will excited and satisfy the most discriminating chocolate lovers. Please Note: We can deliver this gift locally or ship to most places in Florida at regular rates. Destinations outside FL require overnight express shipment with additional charges.